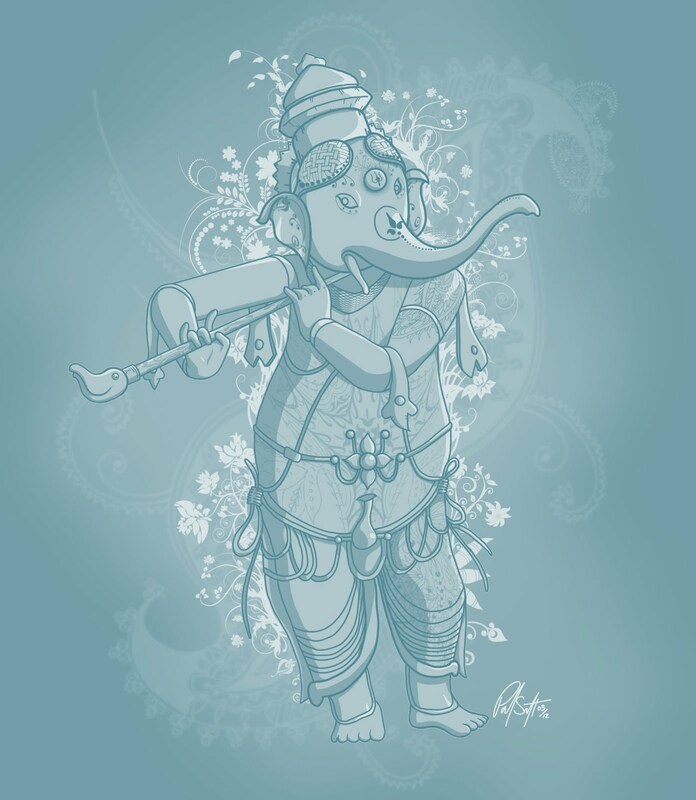 Ganesha, one of the Hindu deities. Drew him with a flute. I drew and coloured this with black, white and grey tones and then put a blue matte over top. I also used several patterned brushes for this drawing.